We currently have 4 full time positons available for Concrete Finishers. This position has primary responsibilities to smooth and finishes surfaces of poured concrete, such as walks, sidewalks, roads or curbs using a variety of hand and power tools. Align forms for sidewalks, curbs or gutter; patch voids; use saws to cut expansion joints for site development in accordance with the highest standards of the Company and the industry. 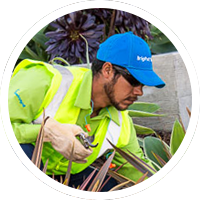 BrightView Landscape Development is an Equal Opportunity and Affirmative Action Employer.